October is finally here. We are in the last quarter of this year. But that is 90 days still to go before 2013 graduates. 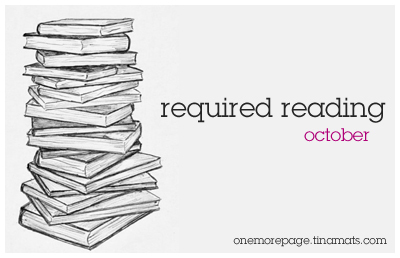 We have time to go through once more with our reading plans for this year. September, as I predicted, was a busy month. Life goes on in the real world, unfortunately, while we desperately escape into the book world. Well, maybe it was not all that unfortunate inasmuch as reading is concerned, because I was able to finish 5 books. For October, I believe that it is pointless to be brave and ambitious both at the same time. So, I will just settle on being brave. A Storm of Swords by George R.R. Martin: we are still in the midst of our buddy-reading. And considering that the book is a behemoth, we will most likely read it until late October. Tigana by Guy Gavriel Kay: Our F2F book for the month. As you can see, this is another high fantasy and thick, too. People of the Book by Geraldine Brooks: this is another spillover from last month. I’m more than half-way through and hoping to finish this before I start on Tigana. I am crossing my fingers. This is the first time I am going to read high fantasy simultaneously. I typically take a long break after one, because it’s not my usual genre, and my interest tends to wane most often. 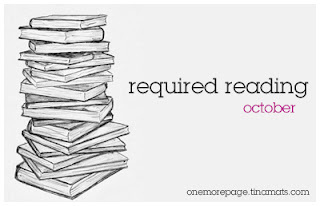 So, I am hoping to keep it together to finish all the reading challenge for October. Happy reading, fellow book lovers. Ciao! Oh, I'm reading Tigana as well! But I'm taking my time with it. How are you finding A Storm of Swords so far? eek, i love the gif! We can finish ASoS... aja!